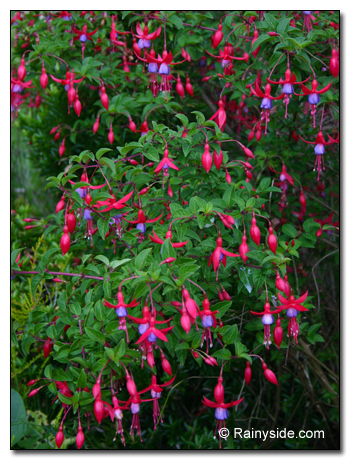 Many fuchsias come from the cloud-infested, higher elevations in the Southern hemisphere forests. 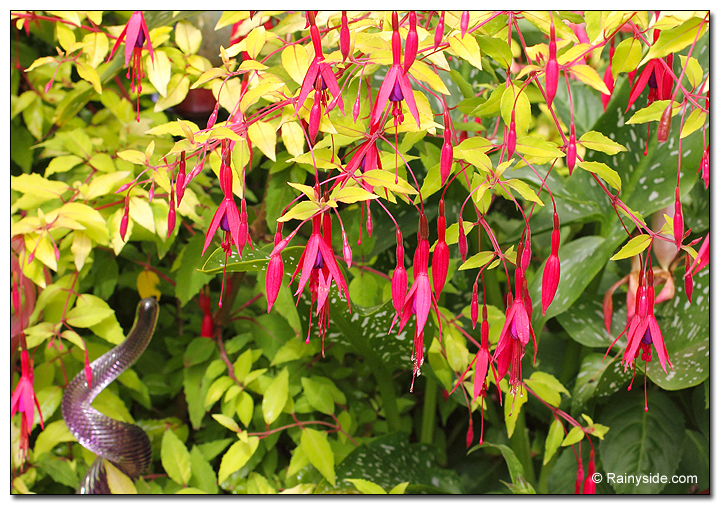 It’s not surprising that fuchsias thrive in our cool maritime climate. 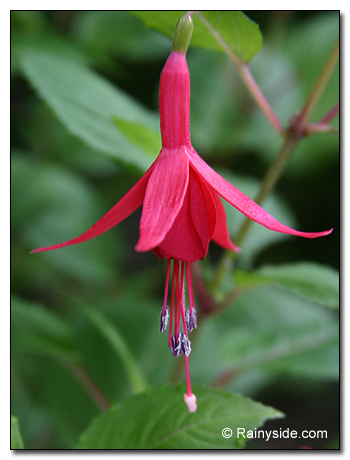 Hardy ones easily fit into almost any landscape, from woodland gardens to formal ones. 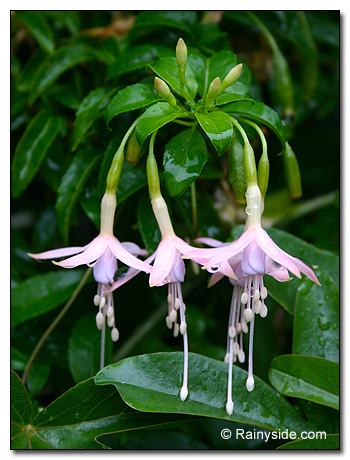 You can utilize them as seasonal hedges, cascading down walls, housed in containers or nestled into a mixed border. 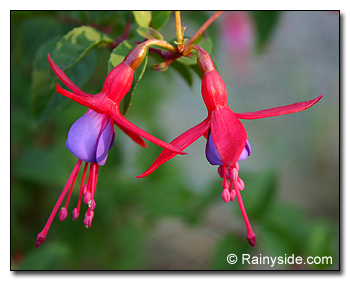 Wherever you plant them, they will bring a long season of color for the hotter days of summer well into the cooler days of fall. 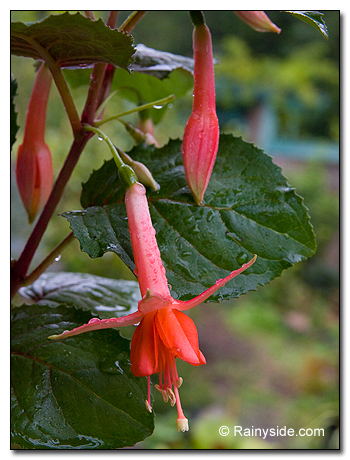 During mild winters, hardy fuchsias loose their leaves with minimal stem dieback. 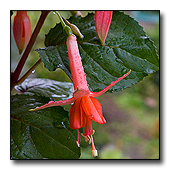 However, about every four to five years, this area experiences a colder than normal winter that freezes the hardy fuchsias down to the ground. 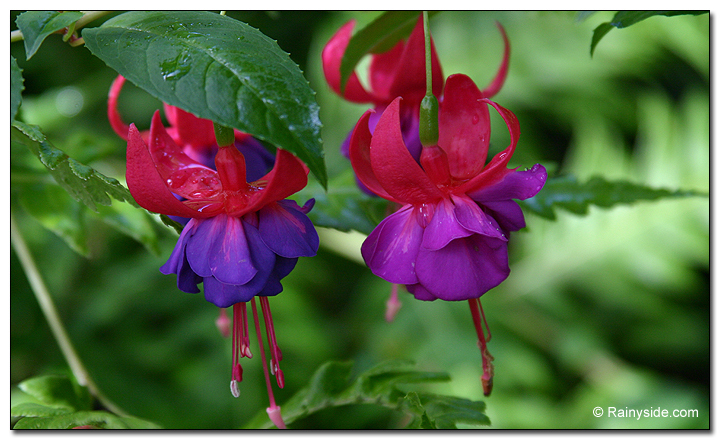 This isn’t a problem since they sprout again from the roots and by midsummer flower as profusely as before. 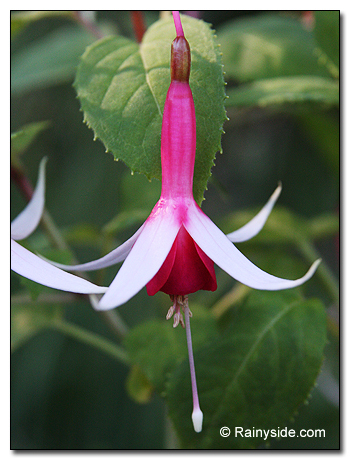 Low-maintenance plants once well established, fuchsias are surprisingly drought-tolerant in our mild climate. 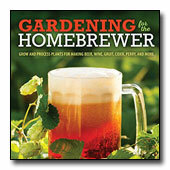 However, for optimum growth and flowers, they prefer a moist, humus-rich, well-drained soil. 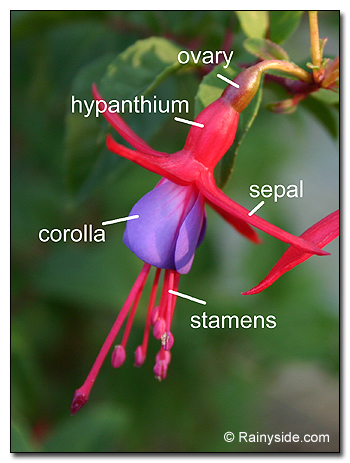 Below are a few select fuchsias. 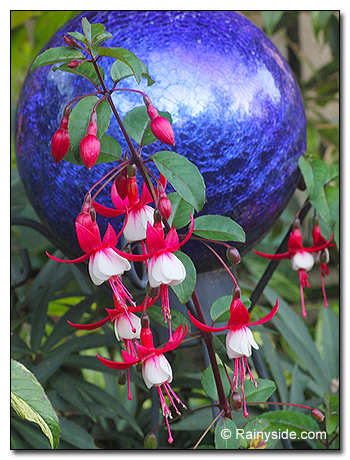 Size: 2 to 3 feet tall and 2 feet wide Introduced just after World War II, this American beauty adorns itself in richly-hued blossoms. 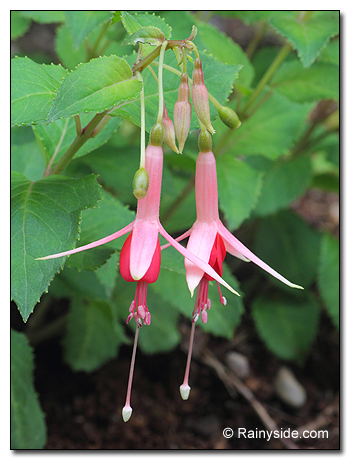 The ample double flowers have a short tube, reflexed carmine red sepals, rose-streaked purple corollas that fade to violet as it ages and rose-pink stamens. 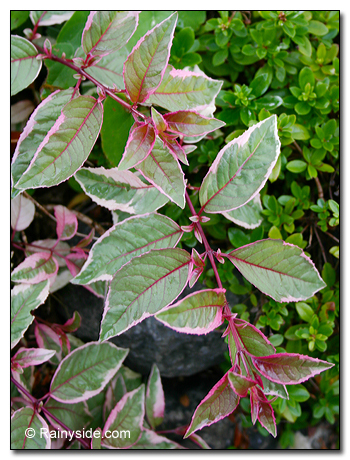 “Army Nurse” is a real trooper, growing equally well in full sun or dappled shade.